Listening to copious amounts of Gorillaz. I waited over a year for this. (separated by spaces) exactly N times, and recursively run its output, it will run exactly N times before producing an error. muzik wrote: Trying to beat Problematic in Geometry Dash. And failing horribly like I do at everything. I beat Nine Cirles (I am epilepsy-proof!) and had 10% at Conical Depression. Now 2.1 is out and I'm really sad that I can't download it. Last edited by gameoflifemaniac on July 21st, 2017, 5:46 am, edited 2 times in total. I had 71% at Nine Circles (I am epilepsy-proof!) and 10% at Conical Depression. Right now I'm trying to wrap my head around composing in the 5/4 time signature. I just finished all of my prelim exams today. Today was my computing one, and I'm ashamed to say in a community like this that I probably did absolutely terribly. muzik wrote: I just finished all of my prelim exams today. Today was my computing one, and I'm ashamed to say in a community like this that I probably did absolutely terribly. I always imagine this as a tech support forum. Tomorrow I will take some tests for middle school. muzik wrote: Right now I'm trying to wrap my head around composing in the 5/4 time signature. You should really try 5/8 once you're finished with that. I feel like it's one of the most underused time signatures, and I've come up with really interesting things in it. #Because this is the sandbox, I can post random incomprehensible things that, redundantly, no one can understand. I've written a song in the 7/4 time signature. 'song'. It was a birthday gift for my friendo a little while ago. Today in choir, the director tried to trick us and gave us a sight-reading exercise in 5/4. We failed miserably for the most part, except for me and a few other band people -- we're working on a piece with a long 5/4 section in band at the moment, so we weren't thrown off. I do love me some 5/8 polyrhythms. Sort of related, I made this song a few years ago that starts off in an odd time signature, I'm not sure which because I have no idea how time signatures work, but it's like bars of length 7,8,6,8 repeating once it gets going. 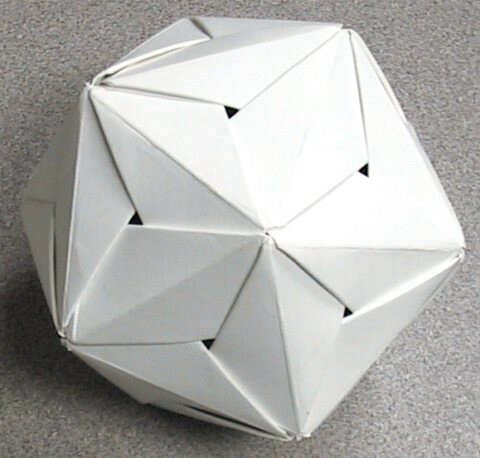 If you want, you could try to make an origami icosahedron. 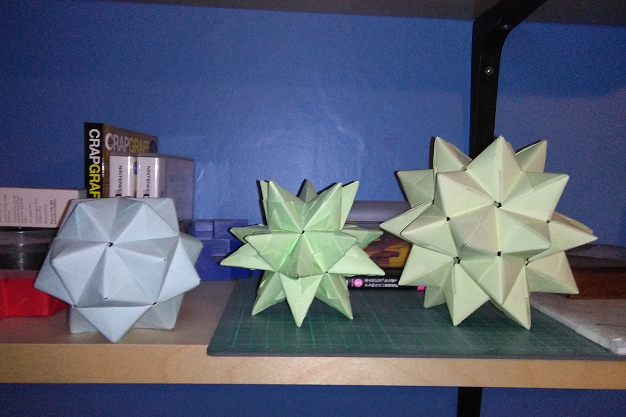 It looks pretty difficult to put together, though. I actually have one of those at home. It uses a different construction technique, though. We have just had "New Year Eve" meal.Happy new "Rooster"year! Last edited by GUYTU6J on January 27th, 2017, 7:26 am, edited 1 time in total. I have actually quit the Magic Ball, but I have made a nice Spring into Action!